Using toothpaste is definitely a good idea when it comes to taking care of your teeth. Used together with a toothbrush and floss, toothpaste can help keep your whole mouth healthy and clean. Commercial toothpaste, however, contains many ingredients that are difficult to pronounce, and it can also be expensive. Making your own organic toothpaste is a great way to save money and naturally take care of your teeth. When we eat, food particles stick to our teeth and gums. Bacteria turn this leftover food into acid that forms plaque and creates holes in our teeth called cavities. Toothpaste has four basic elements that help clean away plaque and keep cavities from forming. Abrasive – these help remove plaque, polish teeth and remove stains. Fluoride – toothpaste acts as a fluoride delivery system. Fluoride helps teeth become more resistant to plaque in the present and future. Soaping Agent – this provides the suds that form as you brush your teeth. Flavoring – peppermint, cinnamon and vanilla flavorings are often used to freshen breath and encourage the use of toothpaste. Other materials that you may want to improve the taste of your toothpaste include xylitol, an all-natural sweetener used in sugar-free gums, and essential oil in your desired flavor, like peppermint, orange or cinnamon. This recipe is a basic one that generally lasts awhile if stored in a covered container in dry, cool place. You may want to start with a smaller batch in order to play with the ingredients and different flavors until you find one that’s right for you. Mix it all up until it becomes like a paste. If it’s too dry, add hydrogen peroxide a little at a time to get the right consistency. Use it every day – twice a day – for a bright, healthy smile! 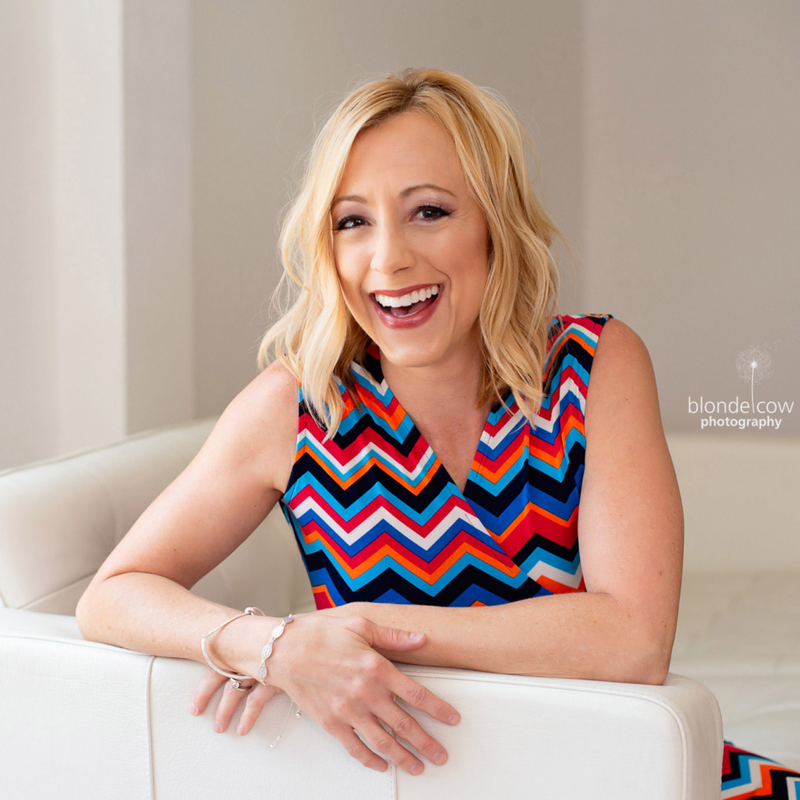 Kelly Wilson is a freelance writer and SEO consultant. For more information about keeping your teeth healthy, contact this dentist in Ridgefield, WA at We Love Smiles. 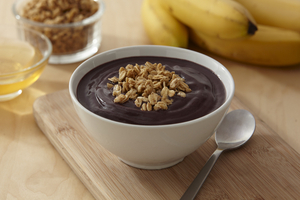 Healthy, quick, and packed with antioxidants, Acai Bowls can be topped with a wide variety of fruits, nuts, granola – you choose! Granola, cereal, flax seeds, sesame seeds, fine ground peanut, ground walnuts, sliced almonds, dried cranberries, raisins, and shredded coconut. This unique wrap from CHOW.com features a myriad of flavors that dance across the tongue! Lentils & hummus graced with pomegranate molasses and topped with a variety of spices and veggies – wow! Combine potatoes, squash, oil, cumin, salt, turmeric, coriander, cinnamon, and freshly ground black pepper to taste on a baking sheet and toss to evenly coat the vegetables. Spread in a single layer and roast until vegetables are soft and browned, about 20 minutes. Let cool slightly on a rack. Heat a large cast iron skillet or frying pan over medium-high heat until hot but not smoking, about 5 minutes. Meanwhile take lavash and cut in half horizontally. Divide vegetables evenly among lavash pieces and dollop 3 tablespoons of hummus on top. Drizzle each wrap with 1 teaspoon of the molasses. Fold the ends of the lavash into the middle, then roll burrito-style to close completely. Place a wrap in the heated skillet and toast until lavash is crispy on one side, about 2 minutes. Flip and toast the second side. Repeat with remaining wraps and serve. What else can you do when your child refuses to eat anything green and seems to subsist on chicken-fingers and French fries alone? 1. Make food preparation a family affair. The more you involve your kids in the preparation and selection of meals and snacks, the more willing they are to try healthy foods. Even a simple trip to the grocery store to allow them to pick out the fruits and vegetables for the week (each child in the family should get his/her own choice) can make a world of difference. Let older children find recipes online that sound good to them using healthy foods. Allow them to choose how the vegetable of the day is prepared and even help in the preparation. 2. Have a make-your-own smoothie party. Fill bowls with various ingredients, such as berries, mango, spinach, broccoli, flax or chia seeds, and let kids pick what they want. They can even turn the blender on! They love to be in control! 3. Make your own salad. The same trick will work for salads. But don’t just include lettuce. Use seeds, fruit, dried peas—anything goes! Make a quick salad dressing/dip or use a store-bought one and watch them eat string beans, carrots, celery, cucumbers, and any other veggie that you cut into strips for dipping. 5. Make veggie and fruit shapes. Thinly slice carrots and cucumbers and use tiny cookie cutters to make shapes. Everything is more fun when it’s in a shape (think silly bands). 6. Make a vegetarian soup at least one night of the week. Pureed soups are great because you can’t see what’s in them (kale is easy to use this way). You’ll be amazed what they’ll eat when it’s been whizzed in the blender or mixed with an immersion blender. To get kids on the right track with healthy eating, visit www.MitchSpinach.com, a fantastic resource for parents, teachers, and kids. It offers creative, multidisciplinary lesson plans and outlines the importance of sound nutrition. Kids can print educational games, such as crossword puzzles and word searches that pertain to the healthy foods used in the Mitch Spinach books to reinforce what they have learned. Keep the winter chill away with this hearty, cheesy soup from CHOW.com! Served with a crusty loaf of bread to dunk in the soup, what could be better? Remove the florets from the broccoli head and cut them into 1-inch pieces. Place half in a large bowl and half in a small bowl; set aside. Cut off the bottom of the stalk and use a vegetable peeler to trim away the woody outer layer. Cut the stalk into 1-inch pieces and place them in the large bowl with the florets; set aside. Heat the oil in a large saucepan over medium heat until shimmering. Add the onion, season with salt and pepper, and cook, stirring occasionally, until softened, about 5 minutes. Meanwhile, peel the potato and cut it into 1-inch pieces. Add the potato, chicken broth, water, and reserved pieces of stalk and florets from the large bowl to the saucepan, season with salt and pepper, and bring to a boil over high heat. Reduce the heat to low and simmer until the potato pieces and broccoli stalks can be easily pierced with a knife, about 20 minutes. Meanwhile, cut the remaining florets into 1/4-inch pieces; set aside. Using a blender, purée the soup in batches until smooth, removing the small cap from the blender lid (the pour lid) and covering the space with a kitchen towel (this allows steam to escape and prevents the blender lid from popping off). Place the blended soup in a clean saucepan and return it to low heat. Add the reserved broccoli florets and simmer until they are tender and can easily be pierced with a knife, about 10 minutes. Stir in the cheese and sour cream. Taste and season with additional salt and pepper as needed. Back in the 50s, as more and more advancements in efficiency were being made, theorists predicted that workers of the future would only work a few days a week, and they worried about how we might fill all the extra time we had when the world became more efficient with the help of technology. Well, the opposite has come to pass. Workers today, actually work more hours than they did 60 years ago, and advancements in technology are actually making it harder for us to let go of our work at the end of the day and find balance in our lives. If you’ve found that you are working even when you are not working, maybe it’s time to make a change, focus on more things that you want to do, and spend more time with your family. If you feel like you need more balance in your life between work, family, and relaxation, the first thing you need to do is set some boundaries. Pick a time in the day at which you will stop working and will not respond to phone calls or emails that relate to work. It can be hard, but you’ll feel better about yourself if you can stick to it. Then you can set times for spending time with your family and doing other activities. For example, you could say that you end work at 5, spend time with family until 8, then focus on a “me” activity until 10—a time when you focus on something you want to do for yourself. When you set apart time for specific activities, you’ll begin to feel more balance in your life. One of the reasons it’s hard for some people to find balance is because they don’t know how to switch from their work life to their after-work life. If the transition from work to life isn’t well defined, then it can be hard to separate the two. To help you along, you might try drastically switching gears when you plan to transition from one phase of your life to another. For example, if you stop work at 5, try going directly into playing a game with your children, or walking the dog when you get home. When you plan to have a transition, you will better adjust to your new schedule. Many people work all the time because they feel like their work defines them. If that describes you, then it’s time to redefine yourself. You need to step back and realize that you are more than your financial success or last quarter’s performance review. You are a whole person who only does those other things so that you can eat and have a place to live. Start a new hobby, commit to spending time with you family, and you might begin to see your life from a whole new perspective. Finding balance is really all about creating a new definition of yourself based on what you really want to get out of life. But the first step to achieving that balance is setting boundaries where you can explore other experiences and spend time on the things that really make you happy. Diane Johnson writes about pell grants, and anything else that interests her. She enjoys traveling, reading, sledding, and sports. “Mom” at Tiny Green Mom is thrilled to announce that The Winner of the Real Card Studio Giveaway is Darcy! We hope that you enjoy this beautiful stationery with your family this Valentine’s Day! Thanks to everyone who entered this eco-fabulous giveaway! Earth Mama® Angel Baby® is offering an eco-fabulous deal on their Monthly Comfort Tea! Currently, their USDA Certified 100% Organic and Certified Kosher Organic Monthly Comfort Tea is 25% off! Take advantageof this special offer for you or another mama in your life at www.earthmamaangelbaby.com. Kushies (one of “Mom’s” favorite brands!) has recently introduced a new online magazine for their customers, which promises to be a fabulous resource and enjoyable read for new parents! This monthly magazine will provide information on nutrition and recipes, parenting, play, new product announcements from Kushies, health, product spotlights and community feedback. You can find it online at www.kushiesmagazine.wordpress.com. Yes – the avocado is still in this uber-healthy guacamole from Whole Foods Market, but you are adding extra nutrients, as well! Best part? No one has to know! Serve this delicious appetizer with homemade tortilla chips and crunchy crudités.